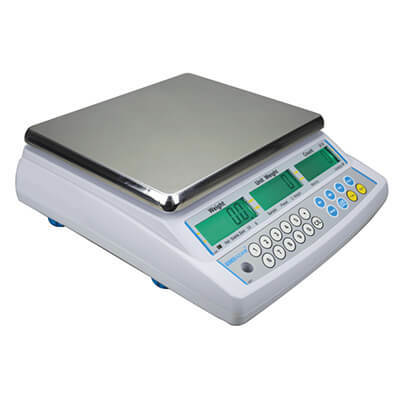 The CBC precision bench counting scales are small but packed with a variety of features. Applications include weighing, parts and check counting, weight and count accumulation. The CBC digital counting scales provides user friendly, intuitive software. Internal counting accuracy gives a higher resolution to count even the smallest parts. Optimisation software automatically adjusts the unit weight to give greater accuracy of the count. A rechargeable battery provides 90 hours of continual use, making the CBC a totally portable, accurate weigh scale, without the worry of power sources. With three large backlit LCD screens, displaying 20mm digits, viewing of weights and counts is clear and easy. The CBC bench scale also has a colour coded keypad that highlights the most utilised functions for speed and ease of use, with a positive push feel. Adam Equipment has been manufacturing balances and scales for over 35 years, providing professionals worldwide with quality weigh scales that are always the perfect balance of speed, performance, and value. 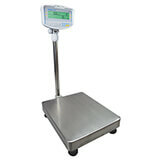 Floor and Platform Scales - Low prices on heavy duty digital scales .